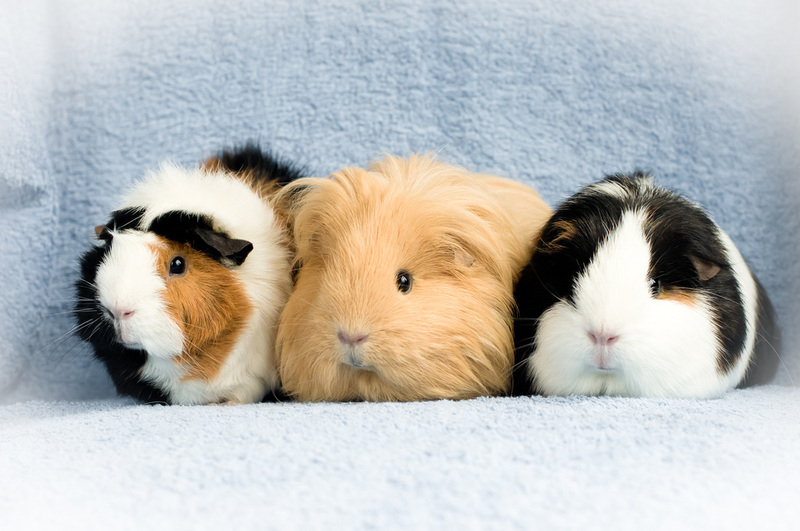 People are often surprised by the thought that guinea pigs need rescuing, but hundreds end up unwanted and neglected every year for a variety of reasons. Sadly, these charming and entertaining little creatures are frequently regarded as disposable children's pets and are regularly discarded once their young owners get bored of them. Some become the victims of changes in their owners circumstances so that they are no longer able to keep them, others become the victims of breeders to the pet trade or of hoarders where numbers get out of control and health problems and welfare provision become an issue. Some unfortunately die from neglect before they can be helped; the lucky ones find their way into rescues like ours. Reputable rescues rehabilitate needy guinea pigs by providing veterinary care, good food and warm, comfortable living conditions. They also put female guinea pigs on 'pregnancy watch' to check for the impending arrival of babies then care for any newborns until they are ready for homes of their own. Not all the animals that come into rescue need rehabilitating, many are simply unwanted but are often young and healthy and after a health check and a period in quarantine to check for any health issues, are ready for their new homes. Please don't think that all rescue guinea pigs are old, ugly and unhealthy! Many are still young, some are still babies as they were born in rescue. Please opt to adopt, not to buy!